Gendarmenmarkt, built in the 17th century, is one of Berlin’s historic squares and is also one of its most beautiful and elegant. It is surrounded by buildings like the almost identical Baroque style French and German churches, the auditorium, in German known as the ´Konzerthaus`, while in the centre is a statue of the German poet Friedrich Schiller, designed by Reinhold Begas, which was removed by the Nazis but returned to where you will find it today in 1988. The name of this square, Gendarmenmarkt, is thought to come from the stables used by a regiment of French Cuirassiers called the ´Gens d’Armes`, which based itself in this square until 1773. It was also here that, until 1880, the country’s biggest weekly market was held. Around the square are located various hotels and up-market restaurants, giving it a touch of sophistication and elegance. 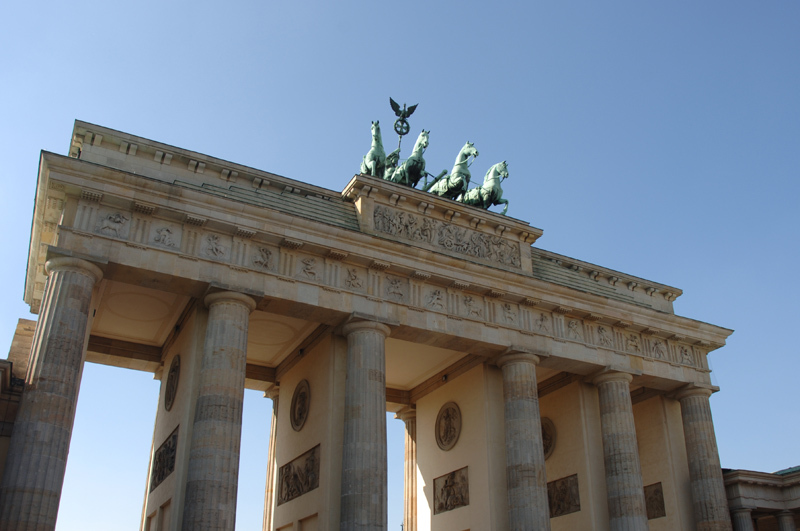 Very close by you will also find three of the most glamorous commercial centres in the whole of Berlin. If, by any chance, you visit the city during the Christmas period, you are in luck. This is because the Gendarmenmarkt is the site for a lovely market specialising in crafts and typical festive dishes. So if you are one of those who love searching among the curiosities on offer in markets of this sort, do not miss it.